Looking to Hire a Magician in Bournemouth? If you are looking for a Magician in Bournemouth who will guarantee your guests a truly unique and memorable experience then you have come to the right place. Each performance is suited to the client’s needs and it can be assured that your guests will be amazed, amused and astonished. Magician and mind reader Edward Crawford has been performing his unique style of illusion for over 15 years and has captivated audiences throughout the world. He is currently one of the most sought after Magicians and private entertainers in the UK and performs throughout the country, including Bournemouth. Edward’s style of magic is a lot more than card tricks. He performs a genre of magic known as mentalism, best described as magic of the mind, or even Jedi mind tricks! This is the closest thing to real magic you will ever witness. In a typical show Edward will read thoughts that would be impossible for him to know, control the future, influence the present and at times he will demonstrate telekinesis (moving objects with his mind). No camera trickery or stooges, like you might, rightfully, suspect when you see a TV magician. All this and more will happen directly in front of you. If you would like to book him for your event in Bournemouth simply fill in the enquiry form below. Whether you require a Bournemouth Magician for close up performance at a dinner or drinks reception, or a cabaret /stage show, Edward will tailor his act to suit your event. Just to say thanks so much for Saturday evening. The guests were so impressed with your entertainment , especially the key bending. Close up Magician Bournemouth – Edward will entertain and amaze your guests up close, mingling and performing for your guests one on one and in small groups at drinks parties, and performing a private show for each table at dinner and sit down events. 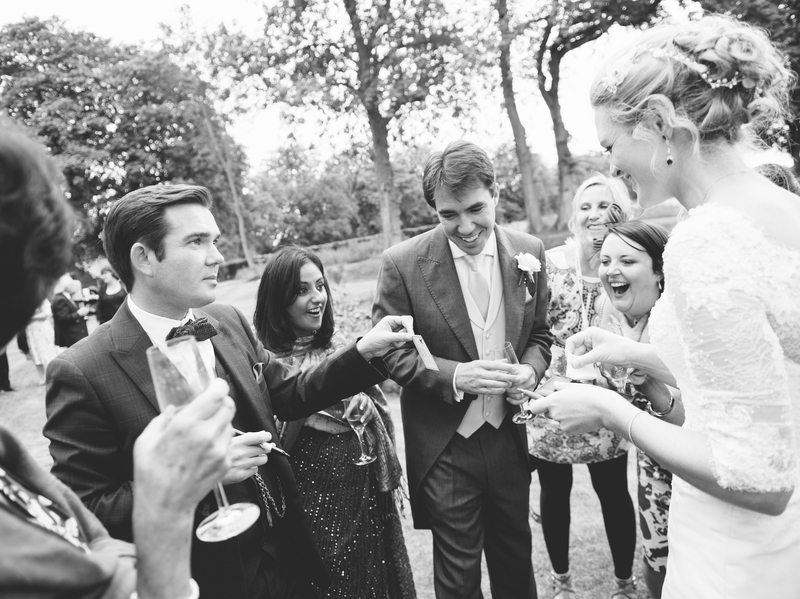 Wedding Magician Bournemouth – adding an extra special touch to your big day that guests will remember forever. Corporate Magician Bournemouth – Edward will tailor his performance to suit your company and type of event whether that’s a team building day, trade show, company dinner, or business merger. Stage Show Magician Bournemouth – Edward’s performance lasts between 30 – 90 minutes, with shorter shows easily combined with a close up performance. The stage show is perfect for events such as corporate events, charity events, and awards ceremonies. Christmas Magician Bournemouth – Edward’s act is ideal for work and private Christmas parties. This is Edward’s busiest time of year and it’s important to book him early for your event. Dinner Show Magician Bournemouth – Edward’s dinner show is perfect for smaller events where you want a show but don’t have the room for a full stage show, and combines elements of Edward’s stage show and his close up act. All the members of the audience will be included in the show. This show can even be divided into different acts that can be performed between the courses. If you’re interested in hiring a magician in Bournemouth contact Edward on 07814 135569 or email info@www.edwardcrawford.co.uk to discuss the nature of your event and your needs, as Edward performs at hundreds of events every year he will be able to advise you on the best type of performance for your event.